Ted Sarandos, Chief Content Officer at Netflix. Image courtesy of deadline.com. The Save Our Soaps activist community is abuzz with talk of AMC and OLTL revivals finding a home on Netflix. Now one of the most influential of such groups has some suggestions for actions for fans can take to see this idea to fruition. After taping a mini-AMC reunion on Hallmark’s “Home and Family” (HF) hosted by none other than the incandescent Susan Lucci, Eva LaRue (Maria Santos, “All My Children”) took to Instagram to report a juicy rumor. The “All My Children” star said she was repeating a rumor heard backstage at the HF taping that “All My Children” [and by extension, we think, “One Life to Live”]could be reimagined as a streaming show, “shot like a nighttime soap.” Scroll down to see her full Instagram post. Our tireless friends at Facebook group “Save AMC and OLTL” (SAO) organized and efficient as they are, posted to their page ideas for actions fans can take in this “AMC/OLTL-to-Netflix” effort. Scroll down to see their post in its entirety. There you will find all the info they provided to get this ball rolling. 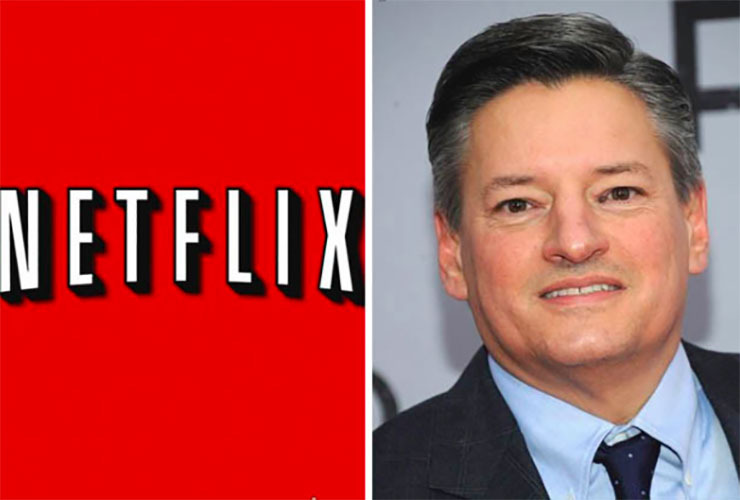 SAO suggests contacting Netflix’s Chief Content Officer, Ted Sarandos. “He was one of Time Magazine’s 100 Most influential People of 2013, and has led content acquisition for Netflix since 2000. With more than 20 years’ experience in the home entertainment business, Ted is recognized as a key innovator in the acquisition and distribution of films and television programs,” SAO wrote. Let’s hope he “innovates” AMC and OLTL back onto our screens! I don’t know if it will help, but it sure won’t hurt! I emailed him. That’s great, Robyn! Thank you for being a faithful reader and supporter of soaps. good idea sort of I would rather see them daily on a regular net work than just 10 shows at a time and have to wait to see more that is the one thing I hate about netflix as it takes so long to get more shows of the series they have. Other wise I love the site. Agree. The daily engagement with soaps has always been part of their magic. Love it! Thanks for telling us! PLEASE STOP toying with our emotions. Bring AMC and OLTL back to ABC. It’s been 5 years. Just tell us no. Not comprehending why Netflix is an option. This is emotionally draining. I SERIOUSLY miss OLTL and tired of the games. Not fair to ABC soap lovers. We understand. We really do.